Latest News (29/01/2019) – The Uttar Pradesh Government has published UP Scholarship 2019 Online Form Latest Status for Pre Matric Class 9, Pre Matric Class 10, Post Matrices 11, Post Marti 12, Dashmottar. All eligible contenders fill UP Scholarship Form online accurately according to eligibility criteria, term and condition, how to apply process before the last date. The main aim of the department is to provide financial aid and well educate to every student. Contestants who are good in studies and unable continue their studies due to lack of money they can take the benefit of this up government scholarship and fill UP Scholarship Online Application Form 2019 accurately before the last date. After completing the online application form process, the applicants can see the status of UP scholarship and IP dates by entering the scholarship entry certificate. Chief Minister Yogi Adityanath has said that this year the fee compensation facility will be given to eligible students of all OBCs above 50% marks. An additional provision of Rs. 413 crores will be made for this. In the financial year 2019, this facility was given to the eligible children of OBC, 60 percent of the ‘cut off’ marks. In a meeting with Chief Secretary, Additional Chief Secretary Finance, Additional Chief Secretary, Backward Class Welfare and Principal Secretary, Social Welfare and Minorities Welfare, in the auditorium of his office room, Lucknow Shastri Bhawan was reviewing the Chief Minister’s scholarship schemes on Wednesday. He said that in the financial year 2019, eligible students of Scheduled Castes, who were exempted from getting scholarships and fees compensation (fee reimbursement), were given ex-tenth and class ten students, to pay the immediate amount of the amount to be given to them. In the same way, class 10 pass students who were unable to pay the OBC students who were unable to pay the financial year 2019 under the fee reimbursement scheme, the fees given to them are to be paid in the next one month. For this, he instructed to issue 85 crore rupees immediately. The Chief Minister instructed that in the financial year 2019, the fee reimbursement should be given to all the deserving eligible students belonging to Scheduled Castes. He instructed all eligible students to distribute scholarship and duty reimbursement in two installments on October 2 and January 26. He also said that the fee reduction should not be restricted to only the amount of the tuition fees, but all the mandatory fees should also be included in it. The objective of the Scheme is to provide financial assistance to the poor and commendable students belonging to all communities to enable them to pursue professional and technical courses. Those contenders who are interested and have the ability to do their further studies but due to the economic problem, they do not study, for them, Government of UP has decided to distribute scholarship amount to all candidates who live in below poverty line. Check below complete eligibility criteria and Selection mode other details about UP Scholarship 2019 and apply online before the last date. The Uttar Pradesh Welfare Society as always initiates new policies and programs to ensure the all round development of the state. The society works as a good source of finance all the categories of the society. The vision behind the Up Scholarship Online Registration Form 2019 is to lead the candidates in the education field so as to provide the economic support for the socially and economically backward classes as well as the general public. The eligibility criterion is simple. The candidates must have secured 80% of marks as well as they should be domicile of Uttar Pradesh. The documents required for the filling of application forms are mark sheets and passing certificates scanned copies of signature and photographs, income and caste certificates. Dear valued candidates!! Uttar Pradesh Government has going to announce a scholarship shortly for those meritorious students who are pursuing their studies in pre metric /metric/11th /10+2 standards and facing problems o the fund to carry on their further studies. Under this UP Scholarship Online Form 2019 program Government of Uttar Pradesh advised to all eligible and desirable contenders to fill their form online against availing this golden chance for pursuing their study in next standard. Students who are studying in 10,12, under graduation, post graduation or another related course like BBA, BCA, MBA, MCA, B.TECH, and other technical courses can be applied for this scholarship. It is very useful to all extraordinary and talented candidates. They can achieve their goal through the help of this scholarship. So students are advised to fill UP Scholarship Online Application Form 2018-19 before the last date. Those students who wish to gain experience and enhance their skills by doing high-level education or courses but they are not able due to insufficient money, this is the golden opportunity for them. Now they can continue their study and make their life successful. Those candidates who are interested can visit the official website www.scholarship.up.nic.in. Reserved, Unreserved (General, SC, ST, OBC, minorities) Students of 9th class or 10th class in Uttar Pradesh (UP) districts are applying for this Scholarship Scheme. Scholarship department of the UP GOVT will be given amount on the basis of their status about they are hostlers or daily scholars. All candidates can apply for this scholarship that comes, in general, SC/ ST/ OBC categories. There are some essential conditions for applying up scholarship2018-2019. Only those candidates apply for this scholarship that has the address proof upstate. Candidate must have 10 and 12 mark sheet. Applying candidate must date of birth of certificate. Applicant must have a passport size photo. Applicant must have the bank account and related document. Interested Applicant must have the caste certificate. Supplicant must have an income certificate. 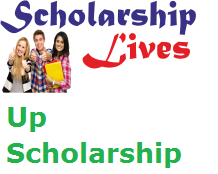 Firstly interested candidate can go to the official website which is www.scholarship.up.nic.in. Then choose the proper link. Get all the details from the official website after that read all the instruction and follow it. Fill the online application forms carefully because in which form error will be found will be rejected by the government. Then you will get the registration id. Take the printout of your online application form for the sake of future. Actually I filled form b sc last year and also filled scholourship form. And now I have got addmission in b tech. And i want to fill form of scholourship but it is not filling. What is the last date of scholarship 2018-2019? Sir mera Post matric other than intermediate (Renewal) tha.maine final submit kr diya hai online but usme kuchh galtiyan ho gyi hai. Kya ab koi option hai jis se mi correction kr saku. Sir jo form lock ho gya hai usme correction kaise hoga,koi date ayegi ya ussi me kar sakte hain. Fault in form—sir,mere form me previous year ki praptank me 1st year ka intend mark aur previous.year ki obtend mark percentage ke option me 1st yr aur 2nd yr ka obtend mark ho gya hai. 10 October to ho gya Lekin form ka link chal hi nhi RHA h,kewal date count horha bhai ,websites to chalni chahiye..
Sir , Prematric Last Date Kab hai ?